Sometimes ones curiosity about a place may have them ponder a little deeper about it’s historical significance. This was the case with Kevin McIlwain, who spent time in a place that had more historical meaning than he even thought. Kevin’s era at this place was in the 1950’s and 60’s. Also, there was something very important happening at this place in the 1860’s, which by then 100 years had past. This is Kevin’s recollection of his time spent there in his era, and then someone a few generations back recalls her time there. 1904 Directory indicates Benjamin Taylor resided here at 420 S. Jefferson St. He was a foreman at the Steel Works located across the street from his residence. Having known Pete Harmon for quite a few years I asked him if he had any information or pictures of a house that I knew to be my grandparents’ at the southern end of Jefferson St. It was a red brick house that sat on property that abutted the Pennsylvania Railroad, it was my impression that it was a railroad hotel. 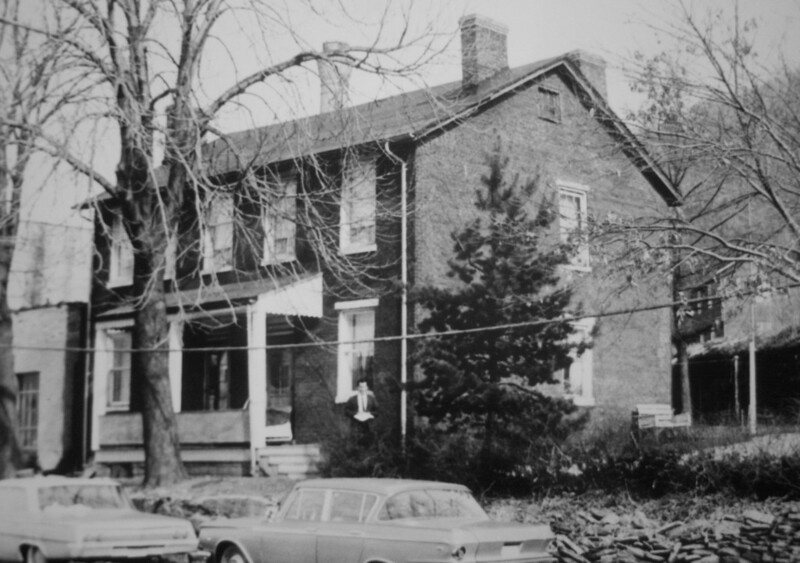 The house had a large yard with a garage that was long enough for several cars parked behind one another. The house had 4 rooms and a bath on the second floor. The rooms ranged from very large to very small. One was used by my aunt Anna Lee and the smallest was used by my grandmother as a sewing room. The first floor had 3 rooms and a large kitchen, which is where my grandmother spent her waning years after not being able to climb stairs. The house was drafty and several of the rooms upstairs were closed off, but still had beds in them. The center hallway that had the staircase was also closed in by a carpenter later on, in an effort to keep from heating the whole house unnecessarily. The original source of heat was a coal furnace, and the basement always had a large pile of coal in in it, coal trucks would back in across the lawn to dump their loads in the chute. The banister of the stairs had a bend in it large enough that a person could start all the way at the top and slide the whole way. My sister taught me that, and with a little waxed paper, we had some great times on it. There was a large steel pipe in the yard that had the highest TV antenna I can remember in the neighborhood. We would typically watch the 3 Pittsburgh channels (2,4, and 11) but if you wanted to change the direction we had to go out with a pipe wrench and turn the bottom which also turned the top. The neighbors were Clair Bowser’s North American Van Lines warehouse and Dean Phipps warehouse too. I would visit the loading dock of the outgoing trucks at Dean Phipps frequently. Les Simpson of Wick City was the foreman of this area. My aunt sold the house to The Urban Redevelopment Authority in Kittanning after Gram passed away and she moved to the northern end of town. It was a nice house and I remember many happy times there with the family. I did go back once after it had been sold and was sitting empty, the grass had grown so tall that it had fallen over, the back door was standing open, so I ventured inside and had a look like before, but obviously there was no one home. Just goes to show a house needs a family before it can become a home. The residence shown in the bottom center in a 1913 Sanborn Map. 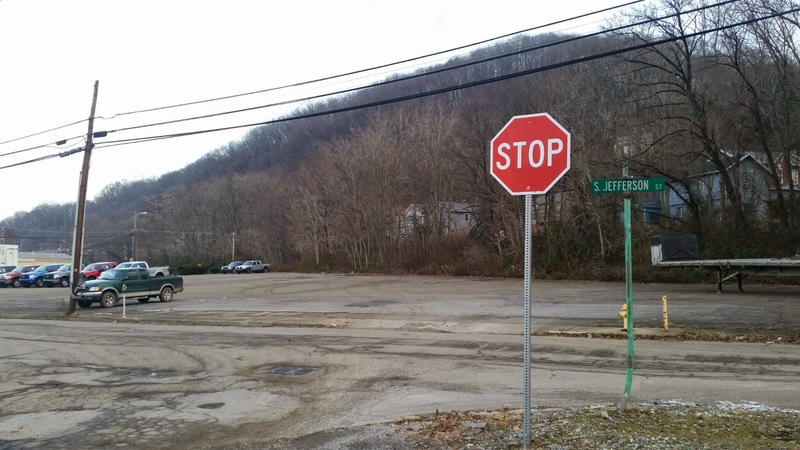 The Kittanning Brewing Company now is the location of the truck parking lot of Noel Ford. 2015 Location of Former Residence at 420 S. Jefferson St. 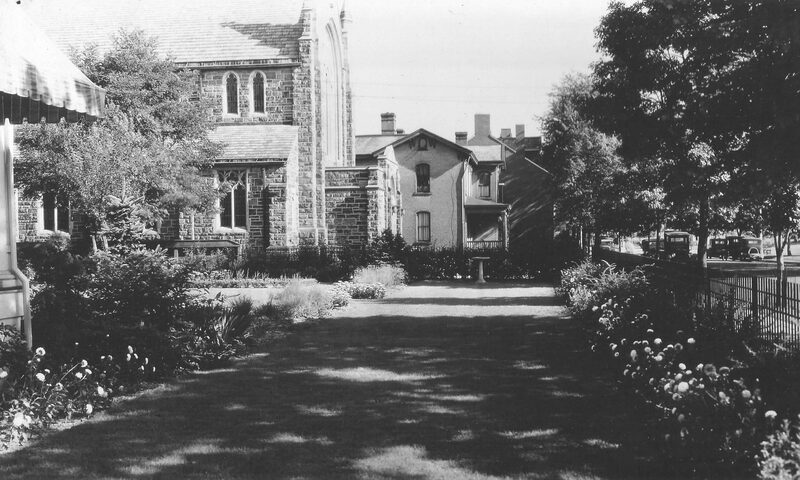 Looking north from S. Jefferson St. towards town from the front of the residence former location. In 1922 an article was written in the Simpson Daily Leader Times of this same residence. Describing it at this time the railroad just came to Kittanning in the late 1850s, and as stated right at the edge of town not through it. This made me think of other historical journals regarding the accounts of the Civil War soldiers in Kittanning which I thought were interesting. One of them was the fact that for soldiers entering the service from the farms and country side, this would be their first time of ever seeing such a things as a train. It must have been an awe inspiring experience to see a complicated piece of machinery. From television accounts we don’t comprehend Civil War soldiers being in Kittanning, but with Camp Orr being south of the current YMCA, this is were several prepared before leaving by train from Kittanning. 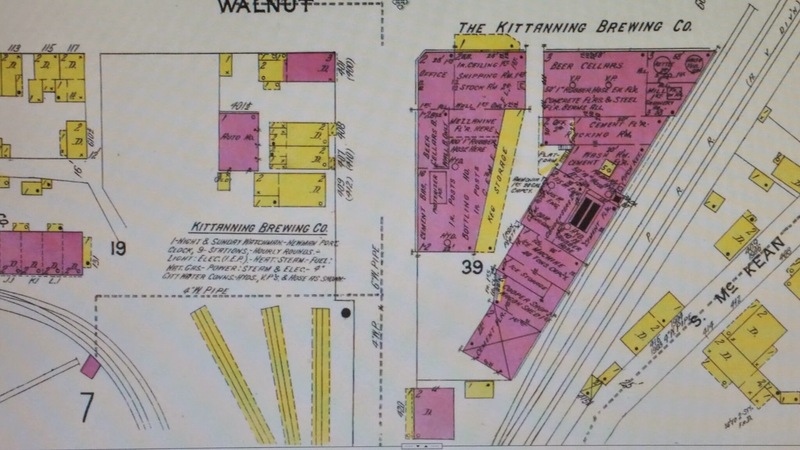 Below is an early map of Kittanning showing the residence at 420 S. Jefferson St. which is listed as occupied by C. Rider. 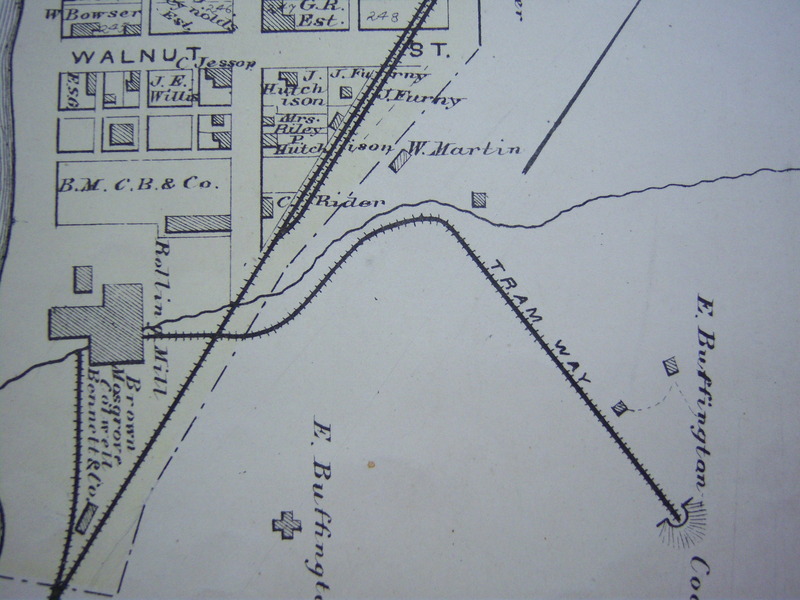 Without the date of the map, it is unknown which time period this is, but more than likely later than 1867 after the Reiters moved to Rosston, and due to the completion of the railroad tracks continuing through town. Map of Lower Kittanning before the 1900’s with the C. Rider residence. 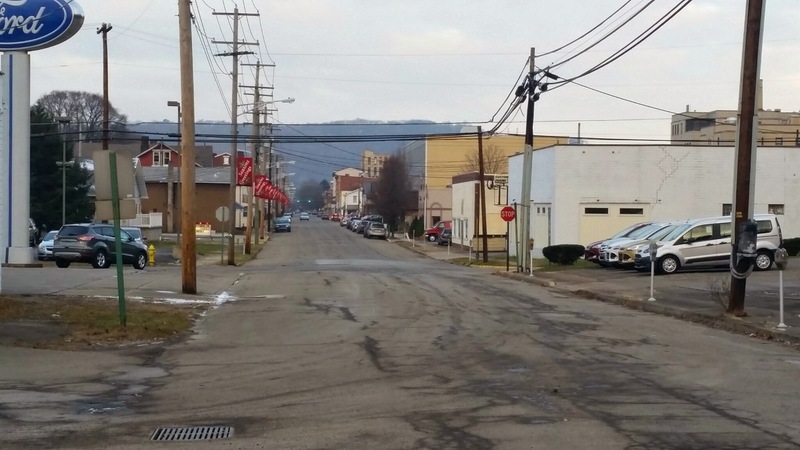 The Rolling Mill was in the area of the current PennDot building. The rolling mill remained in Kittanning till 1926. Note – All photos can be clicked for an enlarged view. Etc are buried at LawnHaven. Thanks for the memories. Thanks, I have information on the Hidinger Family and photos. My Grandfathers sister was Sophie Harmon who married Bob Hidinger. I have about 200 slides scanned from the 1960’s and 70’s which may included some of your family members, because not all are known. Please email me. Very interesting! Sad ending to a house with a lot of history. Wonder when his grandparents bought the property? If his Grandparents are Ben and Ellen Taylor they bought the property in 1891 from Leonard Walter Sr. and sold it in 1895 to Hugh McIlwain. Thanks for the info. Pretty long standing structure and at one a prime location as that end of town saw many people pass by when the railroad ended there and then the trolley to travel in front of it in the early 1900’s. Wonderful article! I really liked reading about his childhood memories! My grandparent are Sophie and Bob Hidinger. I am the oldest daughter to their youngest son, John Hidinger. I would be very interested in seeing some of the photos. I sent an email link with an album of photo from the family.